Beehive Healthcare | Aromatherapy Hypnotherapy Reflexology Chester | Does Knowing Your Heart's Age Help You? Will knowing my heart age make me healthier? 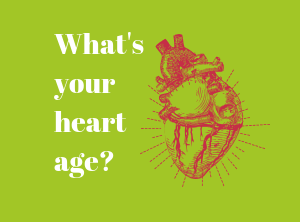 "An online NHS test has shown that 78% of adults in England have an excessively high heart age"
And we can all go online and check our heart age now, the site also gives advice on how to lower your heart age should it be higher than your birth age. Realistically though, how many of us who take the test and have a high heart age are going to make the changes outlined on the website without further support?
" healthy public policy is only one aspect of health promotion. The rest centres on the individual, their immediate environment, and available local health services." "The problem with lifestyle related disease is that there simply isn’t always the time and resource, in the general practice setting at least, to get to the bottom of the issue. Because too often, the issue is intertwined with the society in which we live. " This is where the concept of Integrative Medicine, through incorporating attention to modifiable risk factors for chronic disease, offers a valuable and cost effective long term solution. These modifiable risk factors include unhealthy habits such as excessive consumption of alcohol, smoking, highly processed diet and long term stress. Integrative medicine is essentially a modern day approach to treating the person not the disease. It incorporates not only traditional approaches, which include medication and surgery, but also lifestyle approaches, which include nutrition, exercise and stress management. It is also open to the inclusion of relevant and evidence based complementary therapies, subject to regulation of practitioner. Could an Integrative Medicine approach help you? Many of our modern day long term conditions are lifestyle related. This means that they are driven by our lifestyles - our diets, physical activity levels, responses to stress, amongst other factors. But changing our lifestyles isn't easy. We've probably been living a certain way, with our own eating habits, fitting in exercise around the demands of work and family, often fitting so much in that we don't have time to stop and relax. Added to this, we may feel bombarded with conflicting advice about what is healthy and what is not. An integrative therapist will offer personalised support, drawing on all their knowledge and skills, looking at all aspects of your life. Not as a replacement for traditional medicine, but as a complement. How do you find out more about Integrative Medicine? Why we all need integrative medicine on her website. Rebecca is a doctor at The Countess of Chester Hospital.